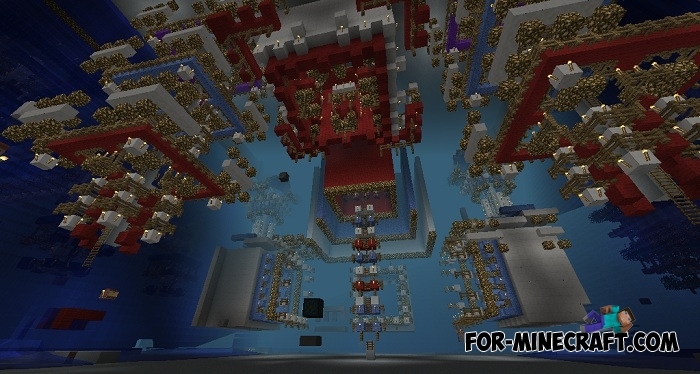 THE GAME is a very unusual map for Minecraft Pocket Edition, where there are platforms and flat structures that you need to travel in search of a transition to the next level. The scenery is very diverse and built on the patterns of architectural fantasies. You will see a panorama of dark worlds passing in a colorful pattern. 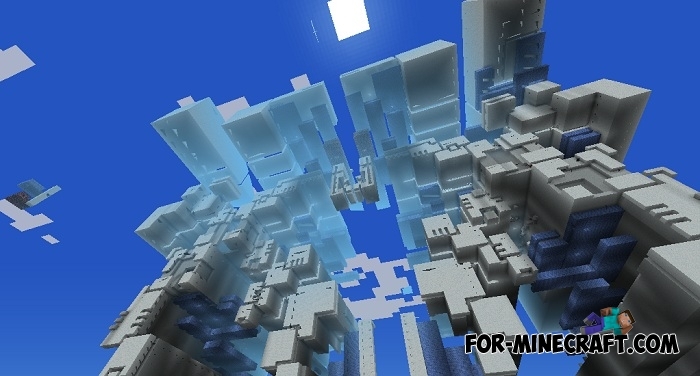 THE GAME map is compatible with classical music and also requires increased rendering in the game settings. It is advisable to use the latest version of MCPE. In some places of construction are simply fantastic because of this you can lose orientation in space.